Serena Williams ended 2013 with 17 major titles. Her marquee 2013 included winning Roland Garros and the US Open. 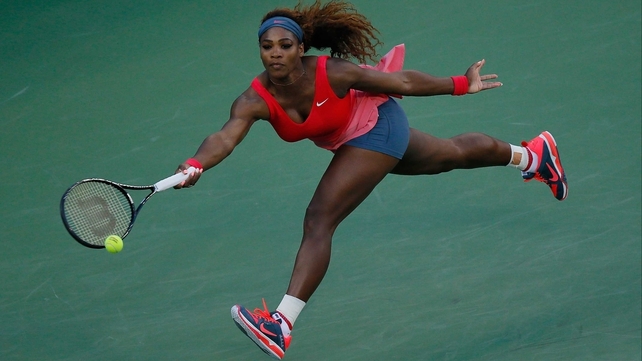 Serena was arguably the most dominant player in all of men's or women's tennis in 2013. Her rival to the crown, Rafael Nadal, similarly won 2 major titles, but failed to prevail in the championship match in the ATP World Finals. Sports Illustrated ("SI"), the US-based weekly sportsmagazine, annually awards a Sportsman of the Year title to a deserving athlete. Ultimately, the Sportsman designation, like TIME's Person of the Year and Entertainment Weekly's Entertainer of the Year (both Sports Illustrated sister-publications), is a marketing gimmick which was developed to generate advertising revenue and to spur consumer interest. "The Sportsman award debuted in 1954, and in describing the feats of the first Sportsman, Roger Bannister, the editors introduced the award’s guiding principle: “While the victory may have been his, it is not for the victory alone that he is honored. Rather, it is for the quality of his effort and manner of his striving." In recent years, there have been many unanswered calls from tennis fans to select a tennis star as Sportsman of the Year. Chris Evert, SI's 1976 Sportsman of the Year, wrote an impassioned essay advocating on behalf of selecting Serena for this year's honor. Serena was not selected as Peyton Manning received the honor for his brilliant NFL plays. Some have indicated that a tennis star doesn't stand a chance in light of football or baseball or basketball's popularity in the US. A pick for Peyton over Serena according to this logic sure would have been short-sighted. From a marketing standpoint - these editors made the wrong choice. SI missed the opportunity to celebrate the athletic achievements of a woman who's been throughout a lot (death scare, family turmoil, new coaching, etc...) and managed to persevere and thrive. Moreover, as we approach an Olympic year in 2014, the opportunity to showcase women in sports was an overlooked opportunity. Hopefully, Serena will have a dominant 2014 season that gives SI editors the opportunity to make the right choice in choosing next year's Sportsman of the Year.